This glutamine agent from International Protein provides you with the most abundant amino acid found in muscle (about 60 percent of its total content) and is the chief amino acid used in exercise. Whilst glutamine can be obtained from a balanced diet, supplementing glutamine is often needed in order to restore losses following a workout. 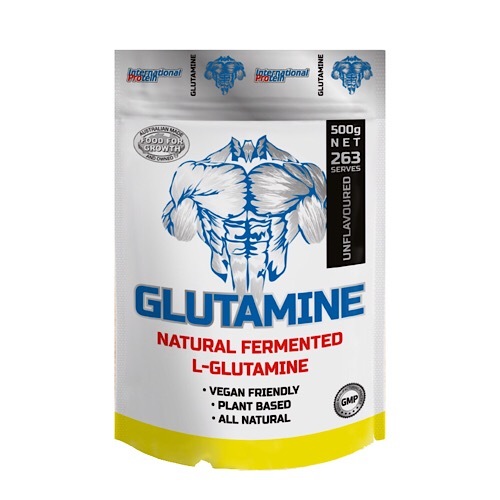 Numerous studies have shown that glutamine supplementation may assist with recovery by combating muscle degradation whilst promoting muscle protein formation.